This post is related with the tools which are used to check the duplicate content. Today's generation are very much aware with duplicacy. If you are a blogger you are probably seen that many other persons who are just start their career as a bloggers, they write their article but due to lack of knowledge they start copying and it is not good for your blog. 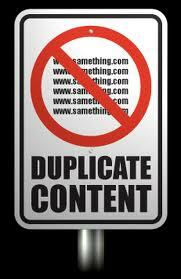 In this post i would like to share some effective and popular tools which help to check the duplicate content. This was the honest article which shows the best duplicate content checker tool. I am sure you will love this article. These are the online free tools to scan your content and find duplicate content in your blog and website. If someone steal your content then you can immediately check the corrupted one. It will analyse the entire website quickly. Here we have discussed the top and popular 10 tools which checks the duplicate content. Lets have a look! These are the most accurate & FREE online duplicate content checker tool of 2016. Don't forget to share this article on your social media sites like Facebook, Twitter, Google Plus etc. Also if you have any doubt and query then you can discuss it in our commenting section below. This is one of the best and finest duplicate content checker tool. It monitoring and checked the duplicate content from the article. Very useful and helpful tool of 2016. It finds the copies of your web page and automatically start scanning. Plagspotter will detect and monitor your page for duplicate content. It also check the originality of the content. It tracks the copied content and those who plagiarize your content, it will also report back. It is the most powerful, original and best duplicate checker tool. It detect the originality of your blog post. Millions of website were become the part of it. You have to give it a chance and try it once. As a name suggests copyscape, it checked the copied content of your blog and site articles. An amazing feature of copy scape is that it offers free plagiarism warning banners for your website and warn various plagiarists for stealing the content. The next one is Dupli Checker. It provide quality web content to top-notch websites. It checks the quality and originality of the product. It also offers various features like proofreading and editing of content or articles. It is launched in 2006. It is 100% free checker tool and provide a good quality look to your article. Each paragraph and topic is covered under this tool. It will optimized the duplicate content up to the mark. Article checker tool is the simplest tool, the site is also too simple. It provide a box where you can type your text and after that you can compare it with the original one. It provide two search engine Google and Yahoo. You can choose any of them or both. Click on compare button and you can see the results. It checks the copied content in your essay, research paper or dissertation. Plagiarisma supports Google, Yahoo, Babylon, Google Scholar. If you want to avoid the duplicate then you must give it a try. Enter the URL and click on check URL button. It supported 150 plus languages. Isn't it amazing. Multiple documents it supported like - HTML, RTF, DOC, DOCX, XLS, PDF, ODT, EPUB etc. As the name suggests it will compare the two similar pages text. It determine the percentage of similarity between two pages. When you are comparing the two different pages, the original and duplicate content will overcome. It offers the professional and high quality search marketing services to their customers. It improve the overall performance of the website and blogs articles. The next one is Dupe Cop. It allows you to compare and checks the two pieces of text and find out how unique the second is in percentage terms. In short, it compare the two text in percentage form. It is one of the effective tool which is always ready to check the duplicacy of content. It checks the web based duplicate content of any article. Just put the URL link in the given box and then click on submit button. The plagiarism detect is one of the superior one. It offers so many features like redundancy of duplicate content, fast analysis process, detect the slightest instances of plagiarism. The business is started in 2008.